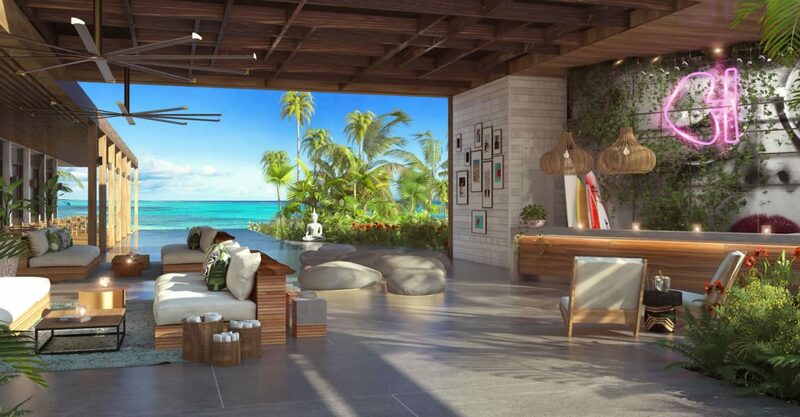 2 bedroom contemporary suites for sale in Turks & Caicos within a new boutique design hotel along 1,000 feet of Grace Bay beachfront. 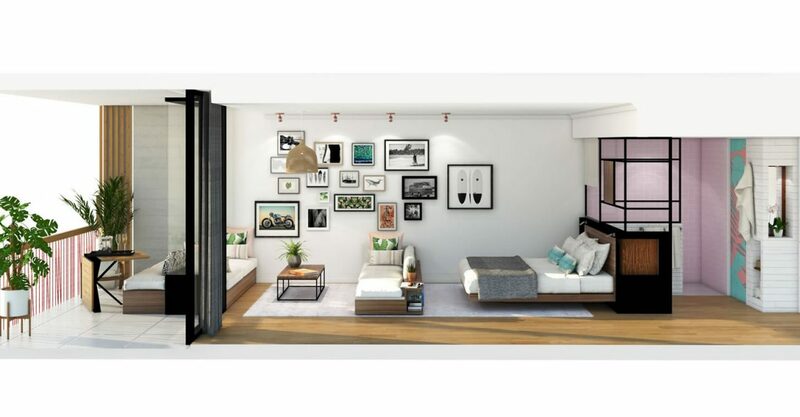 2 bedroom units are available from US $781,000. 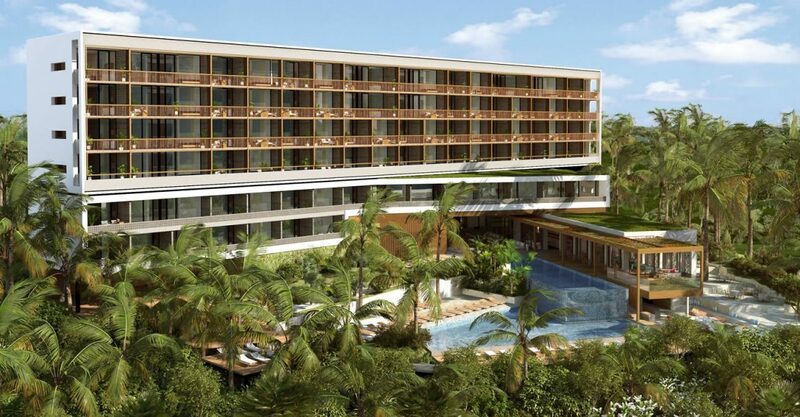 Other options include 2 bedroom deluxe units (from US $1,032,000), 2 bedroom corner penthouse units (US $903,000) and 2 bedroom penthouse units (US $1,250,000). 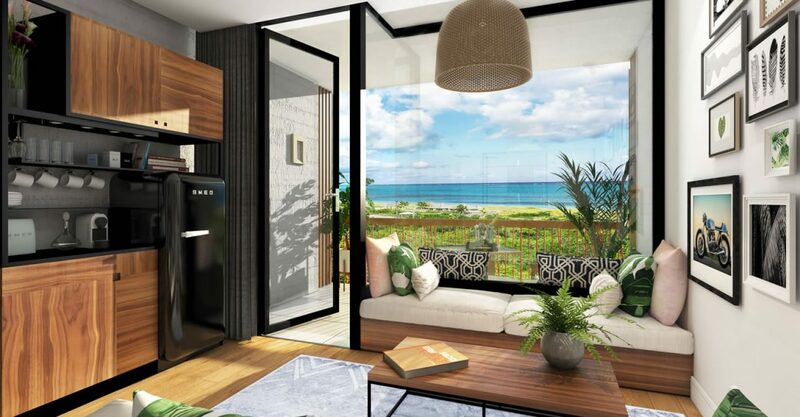 Offering unobstructed views of Grace Bay Beach, these innovative suites have been designed with an emphasis on efficient design, ease of use and rentability. 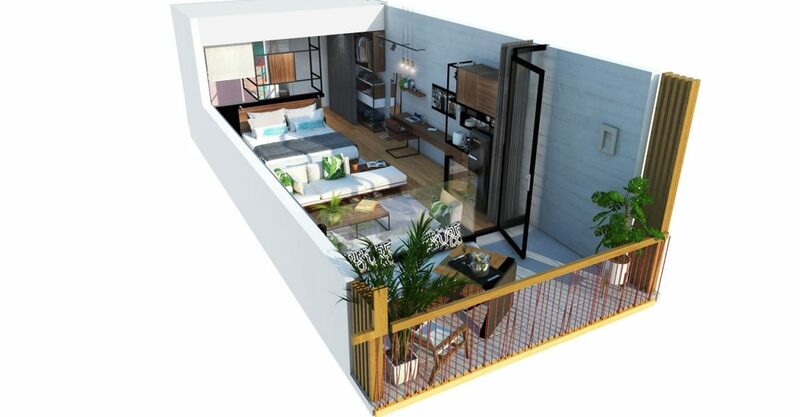 The 2 bedroom suites combine a standard king with a reconfigured corner king unit including a mini kitchen and counter, terrace dining, stacked washer / dryer, architectural sliding panels for main room and balcony, and a bunk, to provide flexible usage options and sleeping capacity.